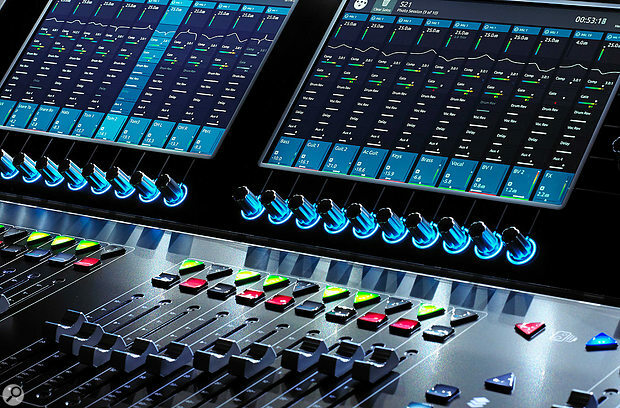 For many independent live-sound practitioners, owning a digital mixer from the DiGiCo range has always been firmly in wish-list territory. The S‑Series models changed all that, with the S21 and S31 — two seriously ‘pro’ consoles — putting this famous brand within the reach of us ordinary mortals. DiGiCo were formed in 2002 with the purchase of Soundtracs — a company founded in the early 1980s by a group of recording engineers wanting to develop a better studio console than what was currently available. That led to some 20 years of successful analogue designs and their first development of a digital mixing console back in 1992. Since 2000, Soundtracs’ product range had been based entirely on digital audio, and they gained a reputation for the exploration and development of many new technologies; they are particularly known for their integration of FPGA-based ‘Stealth Digital Processing’, for introducing TFT LCD touchscreens as standard on their surfaces, and their use of 96kHz sample rates. However, here’s the thing: a couple of years back DiGiCo decided to break completely new ground with the release of the S‑Series, using new processing designs to make the famous DiGiCo brand available at a previously unheard-of price. Using the same audio algorithms found in the SD consoles, the S21 and S31 use lower-cost FPGA components and a new control processor to deliver all that DiGiCo performance for, to put it bluntly, a lot less money. There’s an old adage that one seldom gets something for nothing, and in my experience this holds just as true when buying audio gear as for anything else. This is where you have to get your hands on the S21 to check out what all the fuss is about (or the S31 if you need more faders; we’ll just refer to the S21 for now). Appearance-wise, the S21 is more than a little reminiscent of the SD7, having the same angled surface, solid-looking aluminium surround, iconic LED lighting bar and large screens, but can it really do the proper business at such a remarkable price? If the general buzz, chat and feedback is anything to go by, the answer is definitely a big ‘yes’, and there are those who might say that the S21 workflow and flexibility, being, of course, a bang-up-to-date design, offers a comparable level of operational flexibility to some of its distinguished and more established stablemates, while bringing a few new tricks to the party too. The DiGiCo S21 surface is laid out in two side-by-side main sections, providing direct hands-on control of up to 48 mono or stereo input channels, the master bus, 16 busses in mono or stereo, 10 VCAs and a 10x8 matrix router. Each of the two surface control sections has a bank of 10 fully assignable motorised faders and a huge TFT LCD display that hosts 10 further sets of assignable on-screen channel controls, physically aligned, and very much integrated with, the channel strips. The twin screens dominate the upper part of the surface, which is sharply canted upward (in a very similar way to the SD7) and affords excellent visibility and physical access for both screens and controls. There’s absolutely no mistaking the S21, this is one shape and style that stands out. Over on the right-hand side sits the master fader, the master LED meter, a group of assignable variable-function encoders with push-switches, and the main navigation and display controls to get you whizzing around the system. Overall the surface is uncluttered and clean-looking, and because the physical controls change function depending on what you’re doing at the time, there are enough to do the job while keeping a clean, minimalist look. On top of this, the encoders use the ‘HTL’ design — this stands for ‘Hidden Til Lit’ — which means that at any time, any encoder which is operational will be lit (in an appropriate colour and linked to the screen if necessary) and any others will be unlit and therefore appear ‘greyed out’ so that they don’t add to visual clutter. This makes it easier to lay your hands straight on the control you need. The whole surface is easy to navigate after only a short time behind it, and the tight integration between screens and controls is extremely effective and easy on the eye over long periods. In terms of local ins and outs, the S21 rear panel is equipped with 24 inputs and 12 line outputs. The mic preamps are the same as those found in the DiGiCo D-Rack, in other words the same as those used in any current DiGiCo rig using the remote digital head modules. This is good compatibility and is presumably a plus point for any outfit considering the addition of S‑Series consoles to its existing SD-Series inventory. Connections on the S21 include 24 mic/line inputs, 12 analogue outputs, AES and word-clock I/O, Ethernet ports for connecting to various DiGiCo peripherals (including the remote-control D-Rack preamp/stagebox), and a DVI port for connecting an external monitor. There are also two DMI card slots, which can be fitted with various I/O expansion modules. Here on the rear we also find two DMI slots for installing various option cards, including the recently released DMI-MIC card that adds eight additional mic preamps via a D-sub connector, right there on the console. There are currently no fewer than 10 DMI cards available, including MADI, Dante, Aviom, HYDRA, AES, A-D/D-A converters and — referenced later in this piece — the DMI Waves card that provides 64 input and output streams to the Waves SoundGrid system. The user manual makes the point (in red type) that the DMI cards are not hot-swappable items, and the console must be powered down before removing or inserting them. Above the DMI slots are the usual Ethernet connectors for the D-Rack and other peripherals. This section also contains the main AES, word-clock and USB access points. I love the fact that there’s also a full-size DVI output for connecting an external screen to mirror what’s being displayed on the right-hand internal monitor. One thing that comes across strongly in the manufacturer’s information is that the S21’s processing power is always fully available, no matter what system resources are in play, and a great example of this is that all the input channels can be run as stereo or mono without having to sacrifice channel count or performance. I arranged to visit DiGiCo at their Surrey headquarters, where they kindly took the time to show me the S21 and demo the main features. First impressions are important, in my view, and the first time I met the S21 I was straight away drawn to its appearance. The aesthetics, build quality, look and feel (and, let’s be honest, the big ‘DiGiCo’ logo on the side) all contribute to the ‘how much do I want to get my hands on it’ score, which in this case was pretty high as soon as I walked into the demo room. The S21 was sitting in between an S31 and an SD9; this was interesting as I had previously harboured serious designs on owning the latter with its striking red bumpers. However, after getting over the initial feelings of arriving in mixer heaven I felt more intrigued by the compact, more upright stance of the S21 and was keen to start touching and twiddling. A comprehensive tour of the main layout and functionality of the console lasted around an hour, and the reason these models have become so popular was quickly apparent — you can work them virtually any way you want, and the capabilities and options go way beyond what you’d expect at this kind of price. The fader layers are completely customisable in that you can have any control channel anywhere you like, and getting them there is as easy as dragging and letting go, possibly making use of the auto-complete function to speed things up even more. The controls, although few in number, perform a multiplicity of tasks depending on what the screen is displaying at the time. I found that the best way to figure out what the physical controls did was to look at the screen and simply ‘feel the force’ by trusting that the DiGiCo designers (obviously Jedi) had programmed exactly what was needed onto the controls in any display mode. There were only a few times that I tried to press a knob expecting something to happen and then finding that it didn’t, and generally, once I investigated a bit further I’d find that it wasn’t the best way to access the parameter I wanted anyway, if you follow my meaning. The twin multi-touch TFT screens provide most of the visual feedback, and are responsive to all the usual pinch/drag/swipe touchscreen gestures. The surface design is, at least in terms of physical control knobs, just about as minimalist as they come. The large screens are where your eyes need to be, as everything relevant to the current operation will be displayed right there or directly alongside, and the controls will, if needed, change function and colour to suit the display (you can do almost everything direct from the screen). It’s not only the surface layout that impresses on the S21, the entire package has a very solid, beautifully engineered feel to it. The standard of design and construction is obviously high, and there are quality touches everywhere you look — from the smooth aluminium extruded surrounds, comfortable front edge rest, and matt black polycarbonate surface finish to the excellent built-in LED light strip right across the top of the console, this is one attractive and inviting piece of kit. It’s compact and solid but not particularly heavy — an easy one-person carry — and there’s a superb ‘drive-in’ flight case available. The complete functionality of the S21 is something that the excellent user manual covers very well, so I won’t attempt to reproduce it here as it’s freely available from the DiGiCo web site and is a definite recommended bedtime read for anyone who wants to explore the capabilities of the console in more depth, or to explore the finer technical detail. There are, however, some stand-out features that just have to be mentioned, even briefly, and if I skip the one you’re most interested then my apologies, but all you need to know is on the web site. Almost every digital mixer will have some form of channel overview display, but this one is worth a mention because it’s particularly clear and comprehensive; every main processing section or key parameter is accessible from this screen with one touch, there are handy routing arrows indicating the signal path, and from here you can copy channel parameters to paste elsewhere and gang/link channels together. Every channel, be it an input, aux, matrix or group, has permanently available processing, and that includes four-band parametric EQ with high-pass and low-pass filters (permanent ones, in addition to the four EQ bands), delay and two dynamics processors. The first dynamics section is by default a single-band compressor but there are a maximum of four multi-band compressors available, assignable to any input or bus, and DiGiCo have also provided four instances of excellent valve emulation. Working in the multiband compressor screen really shows how good the multi-touch screen is — pinch, swipe and drag actions are stable, smooth and reliable, and the generous screen size makes for a really good, clear and straightforward display and control experience even when making fine adjustments. The second dynamics section can be selected as a gate, a ducker (great for AV) or another single-band compressor with a side-chain input. Both dynamics sections display an RTA, helping to keep adjustments relevant and appropriate to the signal going through whatever channel is selected. The screen display and fingertip control really has to be tried to appreciate just how good it is. We all know that graphic EQs are just not glamorous or interesting but are nevertheless an important part of live-sound life. The S21 has no fewer than 16 32-band graphic EQs that can be patched into any processing path. When the surface is displaying graphic EQ mode, the faders become magically endowed with a centre detent — a real mechanical one that gives clear tactile feedback with a precise ‘notch’ at the nil (centre-of-travel) point. This is another of the S21’s selection of really neat tricks! Getting control of aux sends is something that seems to be implemented differently by different digital mixer designers, and is sometimes one of the areas where I wish for a more analogue-type approach, with nice, comforting physical controls — rather than bringing auxes to faders and forgetting to return to the main mix, then wondering why (a) I don’t seem to have much control over a particular mic in the FOH mix and (b) the guys on stage suddenly look unhappy. The S21 provides the usual aux sends on faders mode but can also assign aux sends to the rotary controls that sit just below the screen, thus providing a ‘one knob per send’ arrangement. This is a really nice feature and a great use of the 20 per-channel encoders that integrate so well with the on-screen display. It is possible, perhaps probable, that two S‑Series consoles will be operated in tandem for front-of-house and monitor duties, and one issue that can arise when two consoles share a common input rack is the need to adjust the source levels independently on each desk. The S21 employs a clever and useful feature called gain tracking, whereby any adjustments made at one console are automatically compensated for at the other by adjusting the digital input trim on, say, the FOH console by an equal and opposite amount to any changes in preamp gain made on the monitor desk — meaning that the FOH and monitor engineers will both be happy, and therefore peace, harmony and smiling will characterise every gig. 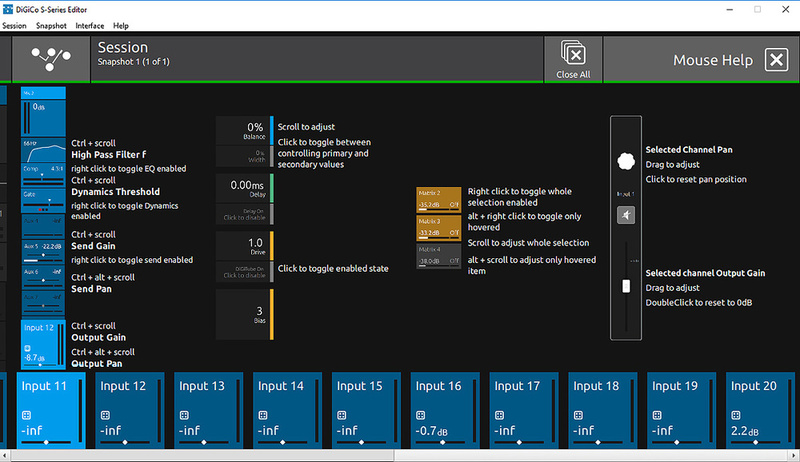 Another great live workflow feature is that a number of channels/busses can be assigned to a ‘Spill Set’ for instant recall to the surface no matter what view is currently selected. I can imagine this being so handy in, for example, a theatre show where a large number of radio mics are in operation, and at certain places in the score you need to have focus on a specific group of sources and effects returns to cover a major solo feature, or maybe where some of the live mics are required to be close to sidefills. 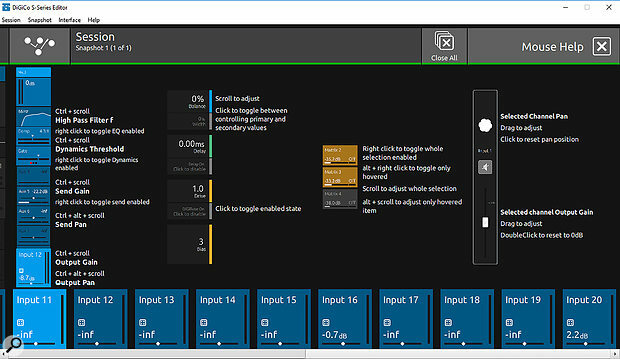 Interactive sound effects is another instance where having instant access to specific faders could be a lifesaver. 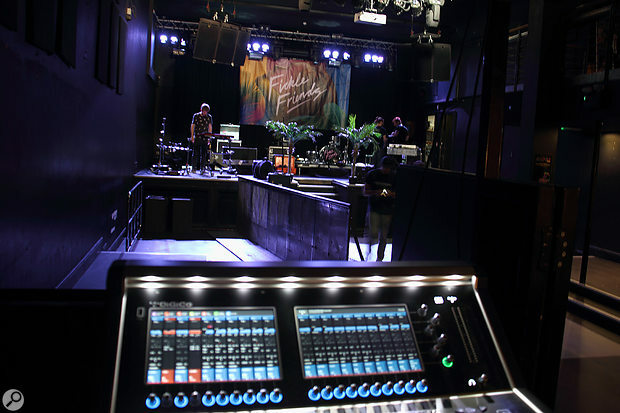 The ‘Virtual Soundcheck’ facility has been available since 2002, when it first appeared on the DiGiCo D5 consoles, and it has become a standard feature on the mixer product line. It is what its name suggests: the ability to record individual channels (either by routing to a specified output point or via the 48-channel USB I/O) and substituting the recorded sources for the live ones by hitting the ‘listen to copied audio’ button; ‘listen to sources’ takes you back to the real live world, and individual channels can be excluded from the selection so that live performance can play alongside the pre-recorded sources. Superb effects are only to be expected, and the S21 has eight slots into which you can assign the onboard reverbs, signal enhancers and delays with global tap tempo. Factory macros offer one-touch access to important functions, and of course flexible snapshots can be created, managed and instantly recalled via dedicated controls. The offline and control apps (Mac, Windows and iPad) are now available for download from the company web site, so remote control and pre-building of shows is also a reality for the S‑Series. There really is a lot to talk about, but unfortunately not the time or space to do full justice in this brief piece. The S21 under ‘battle conditions’ at the Rescue Rooms in Nottingham. I didn’t have the S21 with me long enough to take out on a serious live gig, however, I did take a trip up to the Rescue Rooms in Nottingham to see the beast in action on the last date of a Fickle Friends tour. The tour was being handled by Patchwork London, and I met up with Calum Mordue, the tour manager and engineer, to chat to him about the S21 and what in particular he liked about it. Calum came out to meet me near the venue and explained that he was just finishing off the band’s soundcheck, so I looked around and snapped a few photos until he was able to spare a few minutes. The house desk had been moved aside and was only being used to route the outputs into the house rig; everything upstream was part of Patchwork’s DiGiCo setup. The Rescue Rooms is a medium-sized venue with a ‘lived in’ atmosphere (I had been there before but not for quite some time), and the house rig has more than enough on tap to deliver a really big sound, as I found out when Calum ran up to demonstrate the performance level. He showed me how he’d configured the S21, and emphasised the benefits of the slick workflow and ease of use that makes all the difference when touring. After a few minutes Calum needed to go and sort out a keyboard-related issue on stage, and invited me to have a play (“You can’t hurt anything!” he said, as his entire show setup was of course safely backed up and could be recalled at any time). I messed around with various views and layer options, and in particular the pinch/drag touchscreen operation, which I found so intuitive and responsive. When Calum returned he only had a short time before having to go off and perform tour manager duties, but he did have time to show me a favourite feature of his — the multiband compressor and the side-chain function. I wasn’t able to stay for the full show, but the S21 was clearly a much-loved piece of kit, not only by the engineer but also by the band, who really appreciated the quick and easy soundchecking and, in particular, their IEM mixes. During my chat with Calum Mordue, and afterwards by email, he responded to a few questions I had about the console. Having used it for artists including Becky Hill and Fickle Friends, as well as on corporate shows with Kelis, Dua Lipa, Jessie Ware, and festival stages such as Slam Dunk and Farr Festival, these are his thoughts on the S21: “We chose the S21 because of the small footprint and huge channel count and processing power. I like how easy it is to use, and the patching is easy and fast. You can do 16 stereo outputs plus eight matrix mixes across 48 stereo inputs, which is huge for such a small console. Control software for PC and Mac allows you to set up the S21 prior to a show. So there you have it: real-world feedback from both a tour engineer using the S21 in his day job, and a response direct from the guys at DiGiCo. In closing, I wish I’d had more time to explore the S21 in a lot more detail and in particular to use it on a couple of my own theatre shows, but as I said earlier, first impressions count for a lot, and there’s much you can ‘get’ about this console in just a few minutes. 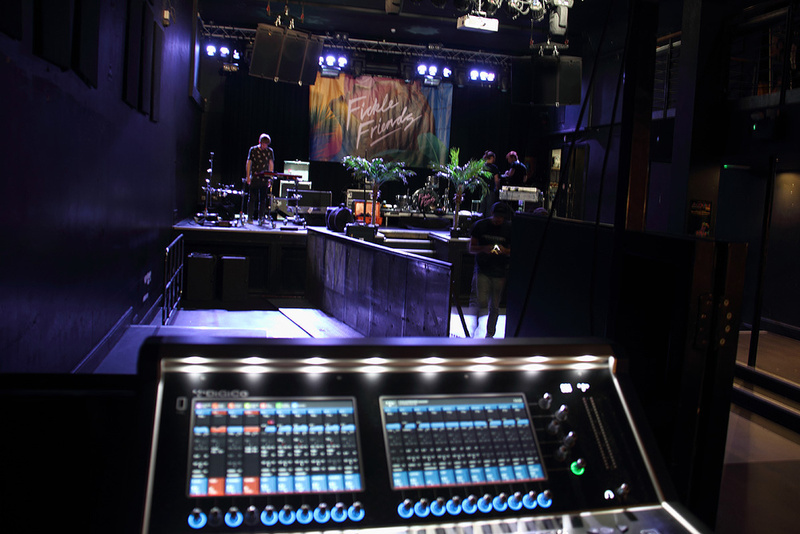 What DiGiCo have done here is bring real, pro-standard console ownership within sight of aspiring and developing sound professionals, and give budget-conscious venues the chance to kit themselves out with one of the best names in the business. I love the S21 and, given a few suitable bookings in the diary, I’d buy one (complete with D-Rack of course) without any more thought. The DiGiCo S21 is a superb live-sound console, well-equipped in all departments, with a well-designed and flexible workflow, great aesthetics and audio performance to match. For anyone serious about developing their professional live-sound credentials, this is definitely a digital console worthy of real consideration. Big channel count in a compact package. Quality build and physical design. 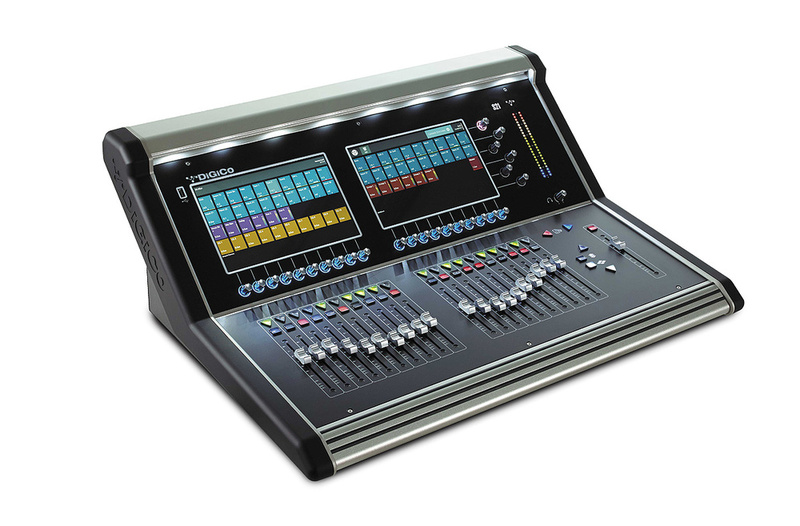 Directly inherits several features from established upmarket DiGiCo products. Company have a reputation for standing behind their products and providing great user support. Customisable — arrange the surface just how you want it. Tight and effective integration across all aspects of function and surface. Multitrack recording and virtual soundcheck. Range of DMI cards including extra inputs and Waves SoundGrid access. A truly professional console that is both powerful and easy to work on, and with a host of ‘pro’ features, at a remarkable price.